This fragrant tangy-sweet tomato-based sauce is incredibly versatile and can be happily refrigerated up to 2 weeks or frozen for months to greatly speed up your Indian cooking. Many Indian cooks and restaurants do just that. The majority of traditional Indian (although not necessarily British-restaurant) curries call for this sort of curry base. 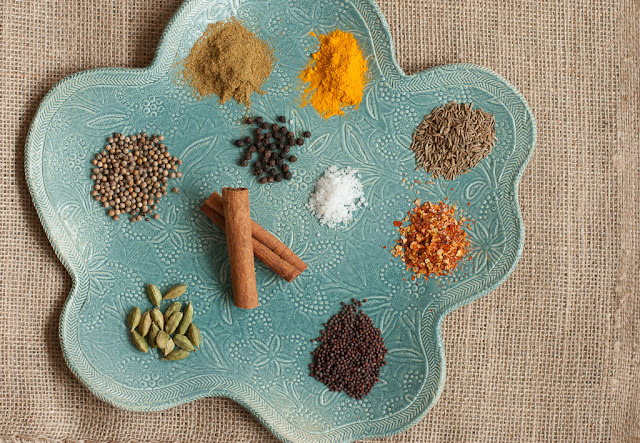 The finished curries can be taken into countless unique directions by their use of tempering spices, choice of vegetables and other ingredients. By adding the optional spices (don’t worry if you’re missing 1 or 2), you will be able to use this curry sauce “as is” if you wanted to. At the end of a busy day you would be free to create your own finished curry meal in 10 minutes by tossing into your sauce virtually any combination of vegetables, potatoes, beans, tofu, etc. It could still be customized later on (with extra heat, spices, herbs, coconut milk or yogurt, lemon juice or tamarind, etc.) but the optional spices will make it slightly less flexible - it could not serve as a base for as wide a variety of traditional recipes. 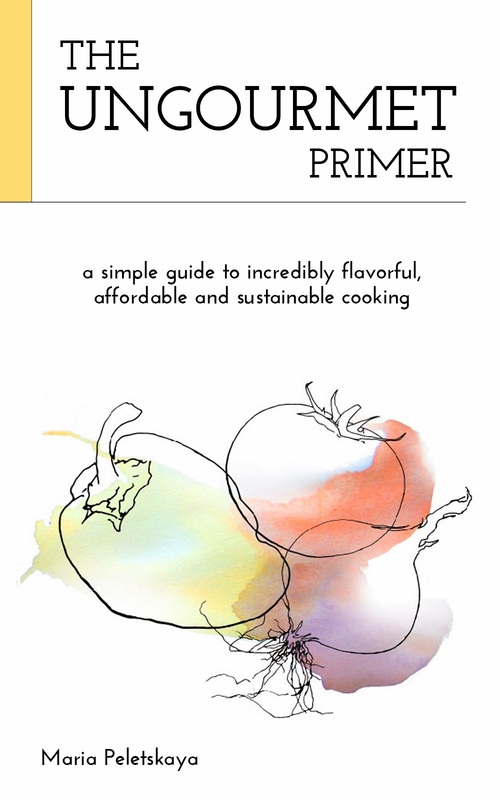 Note that any recipes in this book that call for the curry base sauce will work great with this expanded version. 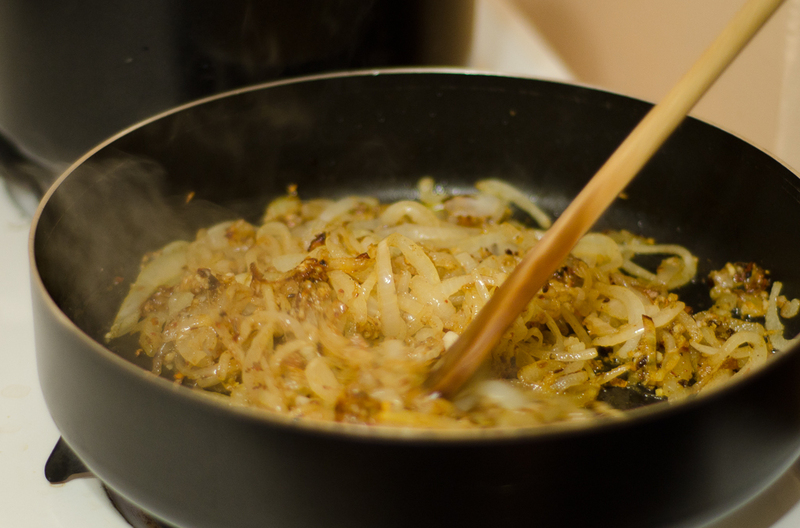 On high heat in a very large pan caramelize onions, ginger and garlic until onions are very soft and golden brown and no “raw” onion or garlic smell remains. Add all the spices and fry 2 more minutes to infuse the oil with their flavor (you may need to move some of the onions out of the way or add a bit more oil to create space in the pan where spices can fry at high temperature directly in the oil). Add crushed tomato; if you used canned tomatoes, rinse the inside of the cans with 1 or 2 cups water and add to the sauce so it doesn’t get too thick. Continue cooking 20-30 more minutes, until oil separates. Done! Use for further cooking or freeze in several dinner-sized batches. Creamy variation: For creamy curries I prefer to add yogurt or coconut milk during the final stages of cooking, but if you have a big container of plain yogurt that needs to be used right away, add 4 cups of yogurt to this finished base and simmer for another several minutes until oil separates. Can be stored in the same way, but won’t keep as long in the refrigerator.